In the universe of Anthem, it is said that the Gods, called ‘shapers’, used incredible cosmic technologies in order to create the world… only to stop in the middle and leave their labors unfinished. Did they grow bored and leave? Did they simply vanish? Are they dead? When BioWare’s latest major opus released on Febuary 22, 2019, the lore seemed to be an ironic parallel for the state of the game. Although visually gorgeous and with solid mechanics, its guts seemed rough and unfinished. Server issues, infuriating loading times, and crashes marred the open beta and continued into the first week of the game’s proper release. Now, after having experienced much of what the proper game has to offer and having endured both patches and connection issues, I am confident that I can review the game as it was meant to be played. And honestly? I kinda like it. 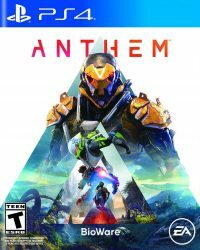 “Anthem” is the latest major release from critically-acclaimed BioWare, the makers of Mass Effect, Dragon’s Age, and others. After news came that BW was diving into the MMO genre, and having to weather the storm of Mass Effect: Andromeda‘s troubled development and rough release, many were wondering if the developer could survive its next major project. With publisher Electronic Art’s reputation for axing studios that don’t deliver proper monetary success, many feared that BioWare’s days were numbered. In other words, BioWare needed a hit. Time will tell if that is true. As for the actual game itself: You play a Freelancer, a member of a storied guild of mercenaries/problem-solvers whose origins are centuries old and linked to the creation of this universe’s essential technology: the Javelin mech suit. Similar to Iron Man’s suit, this is a mechanical exoskeleton that allows one to fly great distances, jump to great heights, and sustain impacts that would turn normal humans into jelly. You begin your tale as a novice getting involved in a major first job involving a cataclysmic event called The Heart of Rage, which has swallowed a major city and endangering the populace. Suffice it to say: things don’t go very well, and you are forced to flee to Fort Tarsis, where you spend the rest of the game’s story rebuilding your life, and the lives of others, as well as taking on jobs with your Javelin. 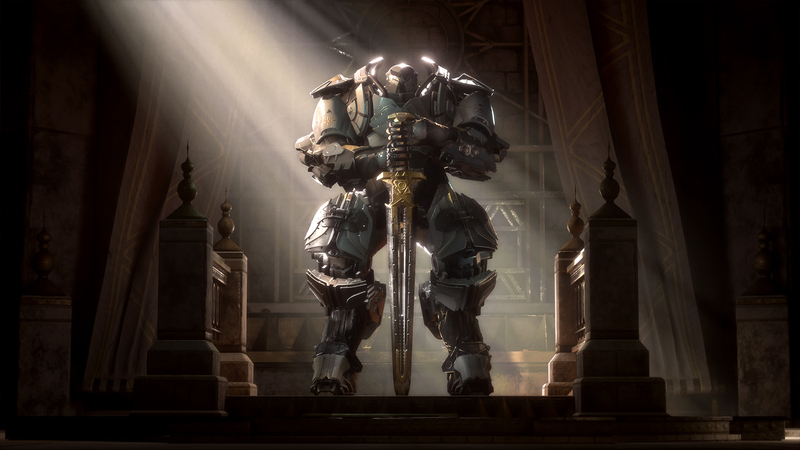 This Javelin technology can be traced back to the mythological Legion of Dawn, lead by the legendary General Tarsis. Tarsis is credited with both the development of the first Javelin, the revolution against the Urgoth that freed humanity from alien slavery, and ultimately the foundation for the three main factions of the game’s universe: The Freelancers (as previously noted), the Sentinels (i.e. the military), and the Arcanists (the people who study the shapers and their tech). There’s also the Cyphers, or individuals who can interpret the forces of the Anthem and act as navigators for Javelin pilots. That shaper tech, by the way, is extremely unstable because of what fuels it: the eponymous (and previously mentioned) Anthem of creation. This chaotic force of nature, amorphous and morally neutral, is the building block of what makes things work in this universe. Imagine The Force, but there is no ‘light’ or ‘dark’ side to it–it simply exists, and its effects are wildly unpredictable. Because the shapers left their work unfinished, their tools (called ‘relics’) will still occasionally act up and create serious headaches for the populace. This can mean anything from weird weather patterns to apocalyptic ‘shaper storms’ that act like reality-warping hurricanes. Your story will involve dealing with these issues, as well as the extremely lethal wildlife. There’s also The Dominion, a totalitarian military dictatorship that is slowly expanding its reach across the world. You’ll have to face those guys to. I’m going to be completely honest here: I’m not an MMO guy. I grew up playing solitary games, and I still primarily play solitary games. I do play FFXIV, but that only came about due to my love of FF (and some minor arm pulling from Patrick Mifflin). I tried Destiny, and didn’t care for it. I’ve tried Warframe, and liked it better than Destiny, but still… it lacked story and lore that I cared about. Suffice it to say: looter shooters aren’t really my thing. So it should surprise you to know that I absolutely LOVE Anthem’s gameplay. 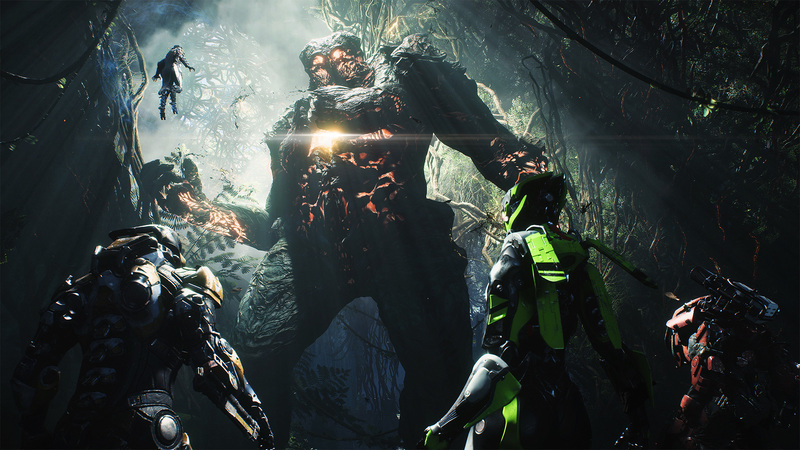 Anthem is more dynamic, with better lore and writing and more engaging gameplay then any looter-shooter that has been produced to date. Being able to effortlessly fly around and traverse the numerous cliffs and valley’s of Anthem’s world is an absolute joy to experience. The combat is intuitive and intense. Ammo is plentiful, and it’s a shooters’ buffet. Your enemies will of course include the hostile wildlife (an unfinished world can produce hideous abominations). You will also have to fight off the Scars, which are a species of ant-like insects that think they’re people who can form human-esque formations to operate armor and guns. Outlaw gangs are another danger, and of course there’s the aformentioned Dominion and their Vader-like general The Monitor. Much of the gameplay you experience is divided into two forms: Freeplay (which involves solitary exploration, world events and experiencing the world’s expanded lore), and Public Expeditions (where you and three other Freelancers go out to fulfill contracts and complete story missions). You can, technically, play the entire game by yourself, but the social element really makes the game shine: it’s so satisfying to go out with three random people and slaughter a horde of Scars. The social aspect also impacts the difficultly factor, as having teammates means a battle won’t be quite as one-sided. The actual missions themselves tend to come in a couple of varieties: The standard is the ‘go to this location and shoot some guys’. 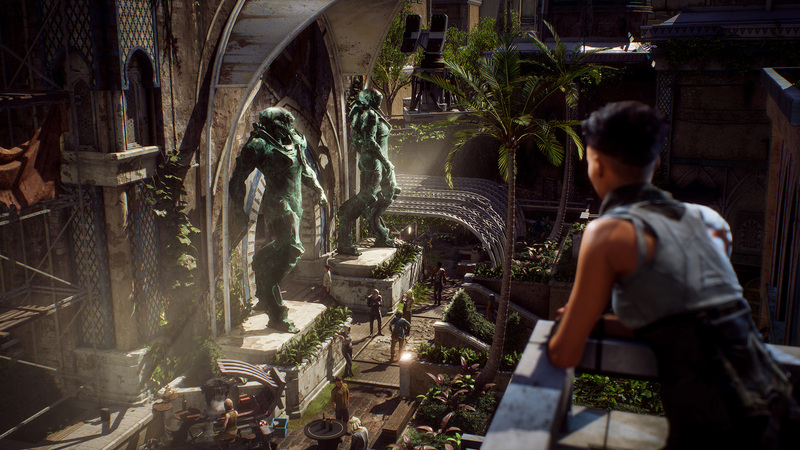 But you’ll also have retrieval missions, hostage rescues, and puzzles involving various vaults and temples that are absolutely rancid with Anthem energy. Here you’ll not only see some of this world’s past, but also see the weird effect the Anthem of Creation has on the natural world. The results aren’t always pretty, as you can guess. Then there’s the customization. You can customize your own player character, of course (it is a BioWare game, after all). But you can also customize your Javelin, which comes in four different varieties: the lithe Interceptor, the tank-like Colossus, the standard Ranger, and the magitek Storm. These can then be further customized with color, accessories, graphics, textures and decals. This is where all of my caveats enter the picture, because even though I love this game there is no guarantee that you will as well. It’s a good game, but it has some flaws that may turn you away. Let’s start with the most obvious one: the server issues. It’s no secret that when this game was first released, the connectivity was not great. I myself was kicked out of the game numerous times in the week of release. This connectivity also caused slow downs, freezes, crashes, and graphical hiccups. Fortunately, BioWare and EA have since solved these issues and I have not experienced any connectivity problems since. You may also have issues with the payed content. I myself experienced no issues with these as the currency I earned in-game payed for everything I bought. I also prioritized updating and crafting new weaponry and upgrades as soon as I began playing, so that also may have effected things somewhat. What they have NOT fixed, however, are the excessive loading screens. Simply going from the Forge (where you equip and customize your Javelin) to the world map should NOT take this long in a modern game. Now, I grew up at a time when loading screens were par for the course, so I may be mostly immune to them, however you yourself may not. Then there is the story: Yes, BioWare’s story-telling chops are almost unparalleled, and it shows here. But considering the type of game this is, it also means that it’s a different kind of BioWare story. There is no romance here (yet), and there is no big moral decisions to make. There ARE numerous sidequest and stories that both further the lore and start some interesting friendships in Fort Tarsis. My fellow freelancers (including the cypher Faye, who I love) are someone I grew to care about, but my relationship with them can’t really go as far as the one I had with Liara in Mass Effect. Something else that might be an issue: All of the story bits happen in first-person. Yes, you can and do customize your player character, but you won’t be seeing them much (at least for right now). You may occasionally get a glance at them whilst you’re putting on your Javelin, but that’s the extent of it. It’s very much like the base game of an MMO: it’s meant to build a foundation, and then be built upon. All in all, I enjoyed BioWare’s latest, but that’s just me. I have a feeling this will probably be the most divisive game of 2019, and it will have as many detractors as it will be fans. Much like the shapers, BioWare will have to decide where they will take it from here. I’ll be along for the ride, but whether you will is really up to your own preferences. This game was purchased by the reviewer.